The KI thermostat for the smart home is the first ever Z-Wave line voltage thermostat in North America. KI thermostats can easily be integrated into the Z-Wave network of your home, allowing you to adjust the temperature in rooms of your home from a distance. The Z-Wave technology also allows you to activate scenes, setting in motion several actions such as adjusting the temperature and lighting, activation of safety and entertainment systems and more. UNIQUE Z-WAVE: The Stelpro KI is the first Z-Wave thermostat in North America to work with line voltage, with a 2-wire connection to the heater. 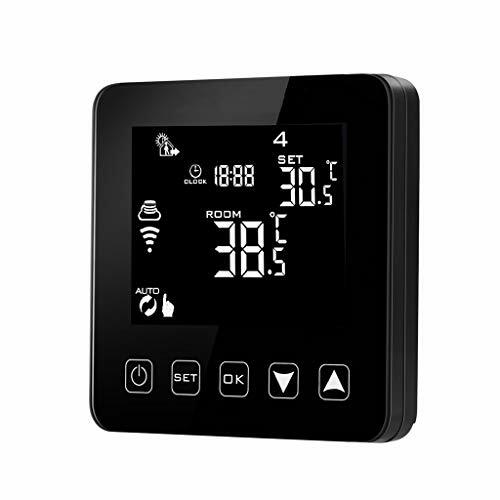 EFFICIENT HEATING: Remotely control your baseboard and convector heaters from your mobile device or computer (when included to a Z-Wave gateway controller – sold separately). SAVE SMART: Set your own temperature schedules to reduce energy bills with minimal effort; take advantage of the device’s ECO mode, designed to be as energy-efficient as possible. 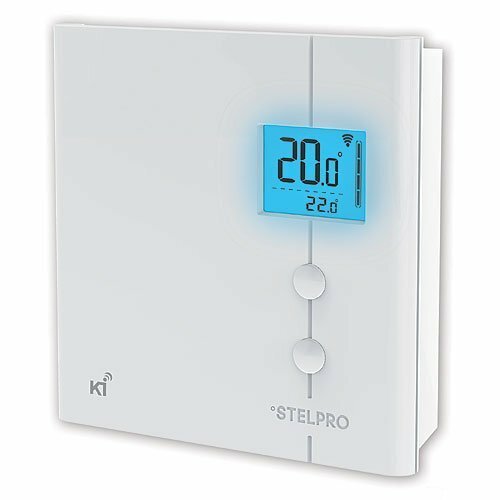 ELEVATED CLIMATE CONTROL: Create advanced automations by pairing the Stelpro KI with other Z-Wave devices. 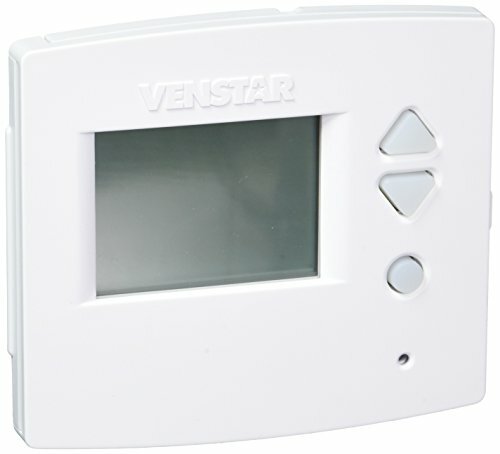 Trigger the heating on/off with a door/window sensor, temperature sensor, motion sensor, etc. 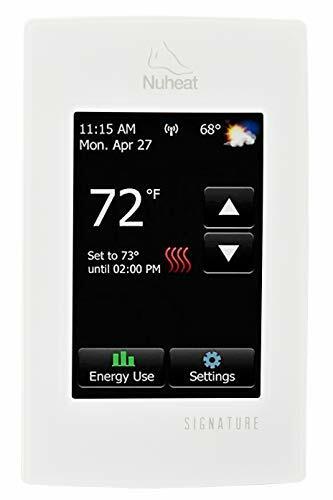 CERTIFIED QUALITY: This thermostat is Z-Wave Plus and UL certified. Made in Canada. Works with SmartThings, Vera, HomeSeer, Nexia and Wink.